What's your biggest challenge to date? 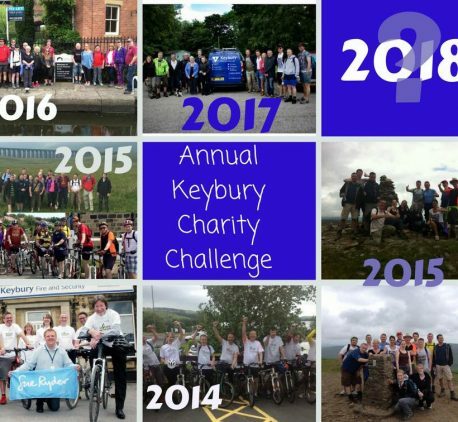 At Keybury, it’s our business to provide Peace of Mind to the community, and each year we take this an extra step further with our charity challenge, supporting national and local community charities. 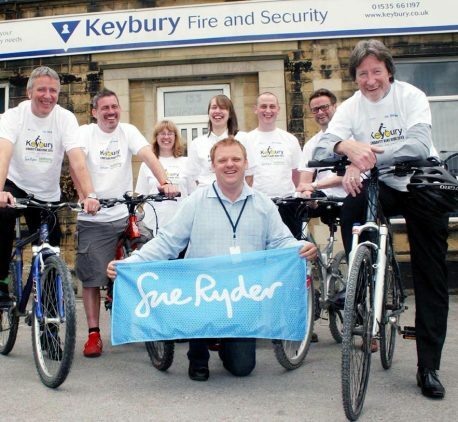 Every year, Keybury staff and families take part and raise money for Sue Ryder Manorlands Hospice, local to our head offices in Keighley and supporting the community of Keighley and surrounding areas. Over the past 5 years we have participated in a number of different events, each year with a different theme. 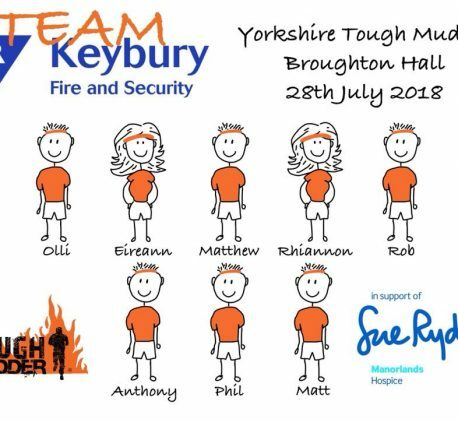 Our fantastic team have cycled the full length of Leeds Liverpool Canal in 2013 followed by a trek from Horton in Ribblesdale to Oakworth in 2014. 2015 was our “Try-athalon”, which saw different members of the team climbing Whernside, cycling 40 miles and swimming a combined 21 miles. 2016 was our Manchester to Hebden Bridge Trekking Challenge and in 2017 we took to Lake Windermere to row a combined 21 miles after a day of walking through the Lake District Wilderness. 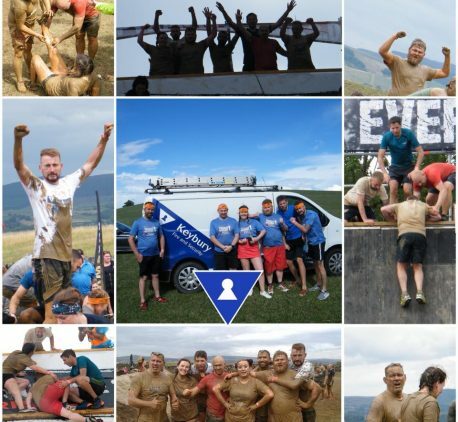 Whilst previous events have been organised and run by the Keybury team, in 2018 we decided to set ourselves the huge challenge of participating in Community charity events throughout the summer. But which events to participate in? We put it to the team. Suggestions of the Yorkshire Three Peaks, Paint Rush, Tough Mudder and The Starlight Hike were put forward. We decided to make this year’s challenge really big by taking on ALL FOUR of the suggested events. Our first event was The Yorkshire Three Peaks, a gruelling 26 mile walk climbing Pen-Y-Gent, Ingleborough and Whernside. This was battled by our team in May. 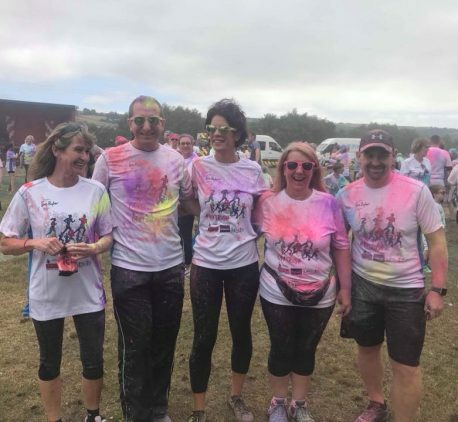 Our second (and messiest) event was The Manorlands Colour Rush a 5km. This was a great day with a tough run resulting in stained hair, clothes and teeth! The toughest challenge came next. 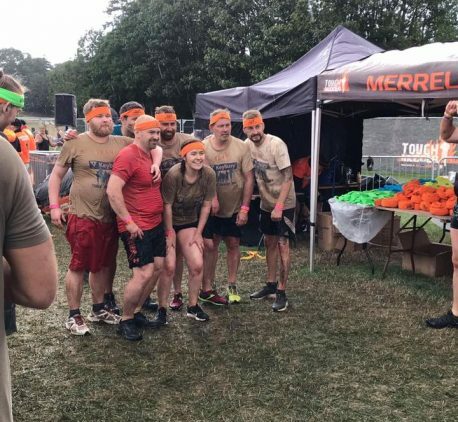 Tough Mudder was completed by our brave team, including members of each department working together to complete the Tough Mudder obstacle event at Broughton Hall in Skipton. 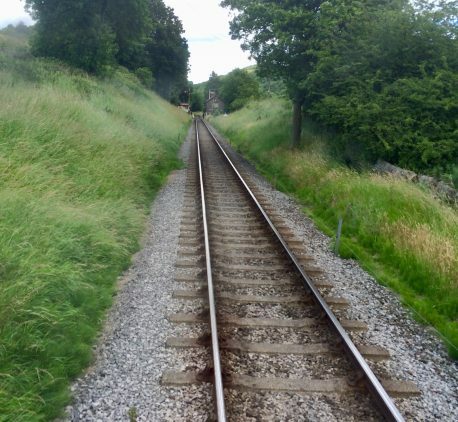 Our Summer of Challenges will be complete at the end of September with the Starlight Hike, an evening hike starting on the Keighley and Worth Valley Railway, walking through the local community passing through Oakworth and Howarth and ending at the Manorlands Sue Ryder Hospice in Oxenhope . So far we have raised over £1,500 this year. Thank you to everyone who has sponsored us. To give your support to this worthwhile cause helping people in our local community please sponsor us at our virgin money giving page. The Oarsome Team Keybury Completed the Charity Challenge of 2017!